Motorcyclists wear little protective equipment to shield themselves from the impact of a collision between themselves and another vehicle. According to the National Highway Traffic Safety Administration, in the year 2015, 4,976 people were killed, and 88,000 people were injured in motorcycle crashes. Each year, the fatality rate is increasing, and the number of motorcycles on the road are also increasing; therefore, consulting an attorney regarding a motorcycle accident is the smart thing to do! The amount of damages following a motorcycle accident can be severe; a number of factors determine how much a motorcycle accident victim can be compensated. The amount of compensation a victim can earn usually depends on the severity of motorcycle injuries and whether those injuries affect the victim’s basic, daily function. Kleczek Law Office is committed to helping victims receive the compensation he or she deserves following the traumatic event. In order for the victim of the motorcycle accident to recover compensation for the injuries, the motorcyclist must argue that the driver of the vehicle was responsible for causing the crash. Many times the victim can argue that the driver failed to keep their focus on the road. The driver could have been distracted and failed to yield to the motorcyclist, or the driver was speeding and decided to ignore traffic signs and stop lights. Additionally, if the driver operated the vehicle impaired or intoxicated, the driver could fail to keep the proper distance between each vehicle. Many motorcycle accidents involve left-turn crashes and rear-end accidents happening in busy intersections. However, the most dangerous type of motorcycle crash is head-on collisions. Once you and your attorney prove that the accident was not your fault, it is time to evaluate the various things that you can gain compensation for following this traumatic event. Motorcycle accidents are very serious and often times leave the victim impaired for life due to lack of protection between the motorcyclist and the other vehicle. The following shows the list of possible arguments you and your attorney at Kleczek Law Office can argue to gain compensation from the accident. If the victim is left temporarily impaired and needs to take a leave of absence from his or her work place, then the victim may be unable to receive his or her wage when not working. The victim is then left with little to no steady source of income. Most victims need the money that they are not receiving because they need the money to pay for medical expenses following the accident. Most injuries from a motorcycle accident impair one’s brain and spinal cord which both affect the victim’s daily function; therefore, injuries to these parts of the body does alter the victim’s life forever. Rehabilitation services can help the victim gain function back, but often times, the victim must complete rehab for the remainder of his or her life. Other injuries that are common are nerve damages, loss of limbs, fractured bones, and road rash. Medical treatment can be covered by insurance, but usually, not the whole cost of all medical treatment needed to fully recover. Therefore, with the help of Kleczek Law Office, a motorcycle accident victim is more likely to get the compensation he or she deserves following the accident with the skilled attorney, David Kleczek, who strategically evaluates the victim’s case to determine the best course of action. Often times, motorcycle accidents have property damage near the site of the accident or on the vehicles themselves. Compensation for mechanical repair costs are usually necessary to recover the well-being of the victim’s motorcycle. A person’s pain and suffering can never be fully recovered, but hopefully, with the resources available one can learn to deal with the traumatic event using the compensation he or she was awarded following the case. 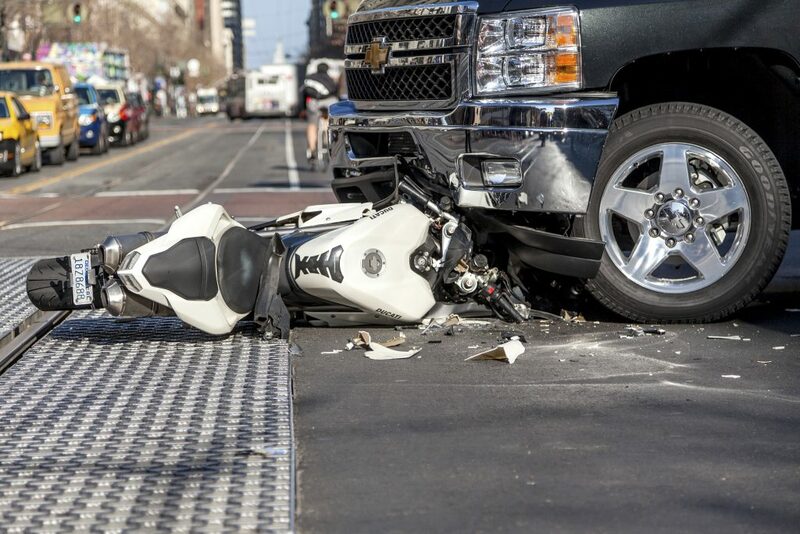 Sadly, if a motorcycle accident does indeed lead to a loved one’s death, the victim’s family can receive compensation by arguing a wrongful death case which can also be represented by David kleczek at Kleczek Law Office. To help conduct a strong case, Kleczek Law Office will order police reports and take statements from witnesses of the crash. Following the accident, the victim should take photos of all of the damages as soon as possible. Specifically, the victim should take photos of their motorcycle, property damages, and damages of the opposite vehicle. The victim should take note of his or her surroundings to see if there are any traffic stoplight cameras close to the accident or on buildings near the scene of the accident. Reviewing video footage of the accident will also help determine what caused the accident and who was at fault. The victim should also keep a record of all medical bills and records with the insurance company to attempt to gain the largest compensation possible. Kleczek Law Office focuses on recovering compensation for the victim to give his or her the financial well-being they deserve. People involved in a motorcycle accident often suffer from not only physical injuries, but emotional pain as well. The victim and the victim’s family often attempt to receive compensation to cover medical expenses and any emotional rehabilitation to recover from the traumatic accident. A motorcycle accident is often a life-changing event. It can leave the victim impaired for life physically and emotionally and can often times cause a loss of income during a leave of absence from work. Kleczek Law Office is committed to recovering the financial recovery one deserves under the law.